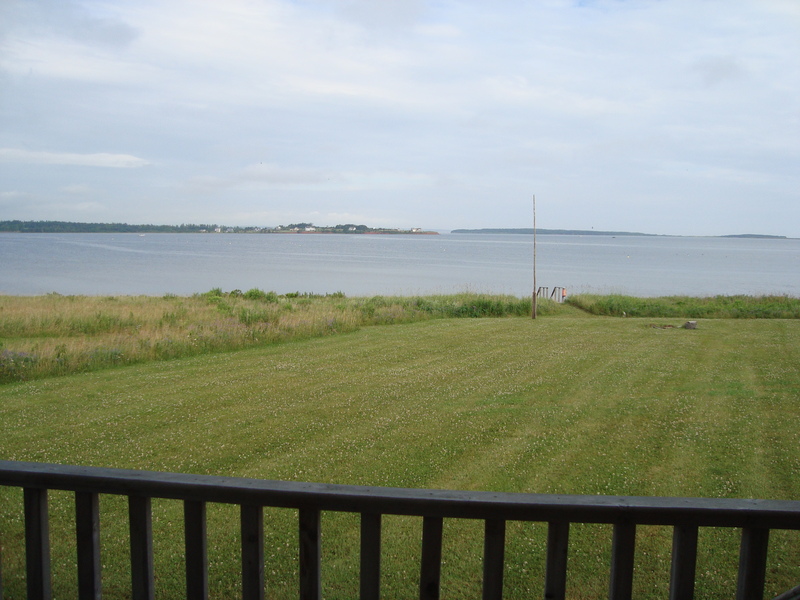 There are a couple of ways to get from “the mainland” of Nova Scotia to Prince Edward Island – “one if by land, two if by sea”. That phrase was actually made famous as Paul Revere’s signal that “The British are coming!” but it makes an apt statement about the two ferries and one, very long bridge that serve the wee island of red dirt, potatoes and a pig-tailed girl named Anne. From Cape Breton it’s a short drive south through Antigonish and New Glasgow to Caribou and the Wood Islands ferry. 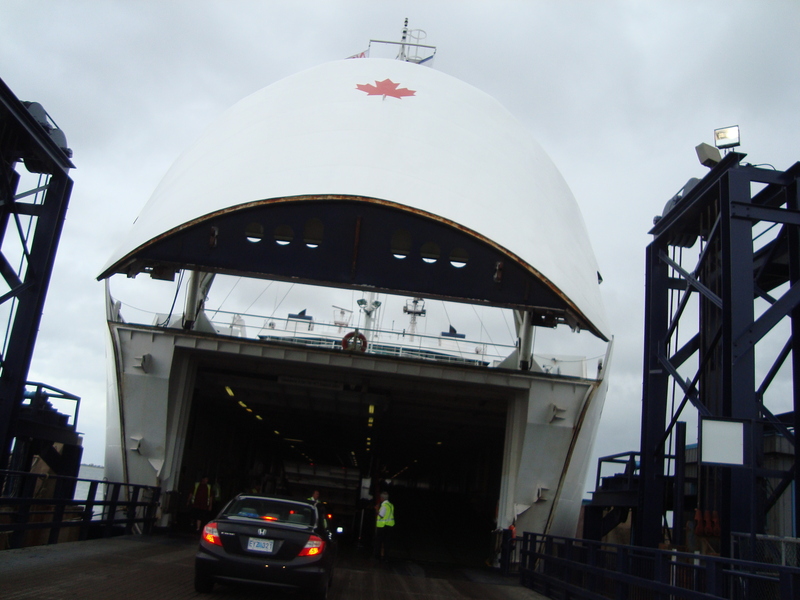 The MV Confederation loading up at Caribou, Nova Scotia for the 75 minute trip to Wood Islands, PEI. Unlike the West Coast, covered in towering conifers, the topography and tree line of the Maritimes is so low that we could not spot PEI on the horizon until we were almost upon it. 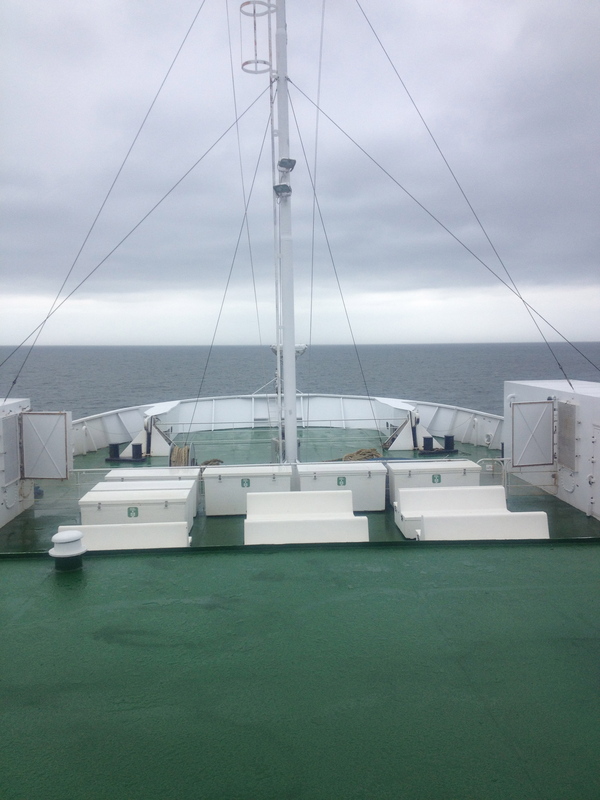 When I took this photo it felt like we were headed out to cross the Atlantic – something I would have worried about a lot more if there had not been a “Cows” ice cream shop on board. If nothing in Nova Scotia is more than a few hours away, then on Prince Edward Island you are always mere minutes from anywhere. The island is just under 6,000 square kilometres and 175 miles from tip to tip, with only two cities – Charlottetown and Summerside – and seven towns. www.tourismpei.com The entire island feels trimmed and shipshape to the extent that the rare cluttered yard becomes a ‘must see’ on the tour circuit. Picturesque houses decked out in shutters, gingerbread and hanging baskets give the place a yesteryear feel, the occasional rise in the landscape reveals a reassuringly precise patchwork of fields and furrows, and the whole thing is surrounded in every direction by glorious shorelines. 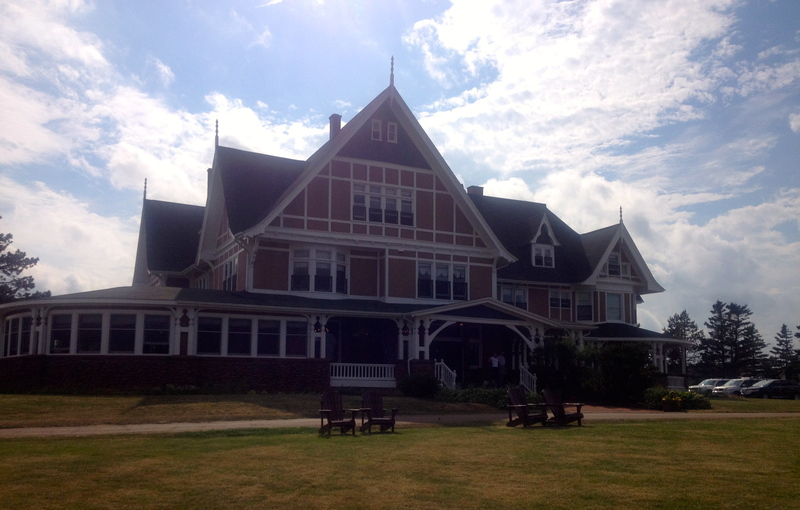 If one were to design a place called ‘heaven’ it might look a lot like Prince Edward Island. 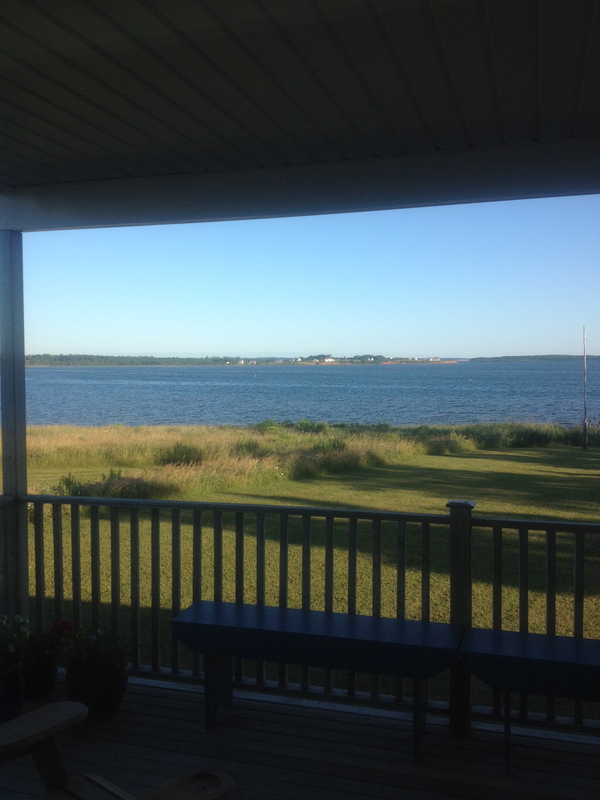 “Home” for a few days on the lush verge of peaceful Rustico Bay. The Bay is used for mussel farming so the black, shiny shells wash up along the shore. 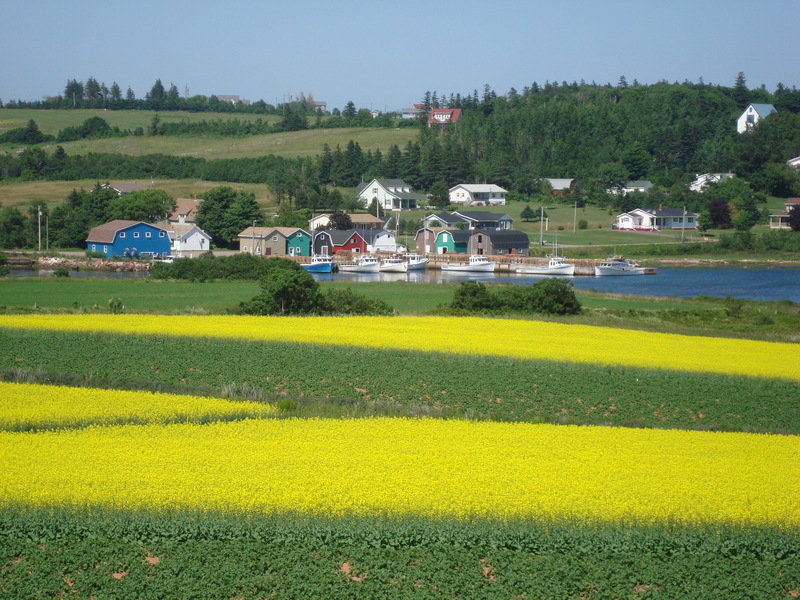 Looking across fields of canola to the quaint and colourful fishing sheds at French River. 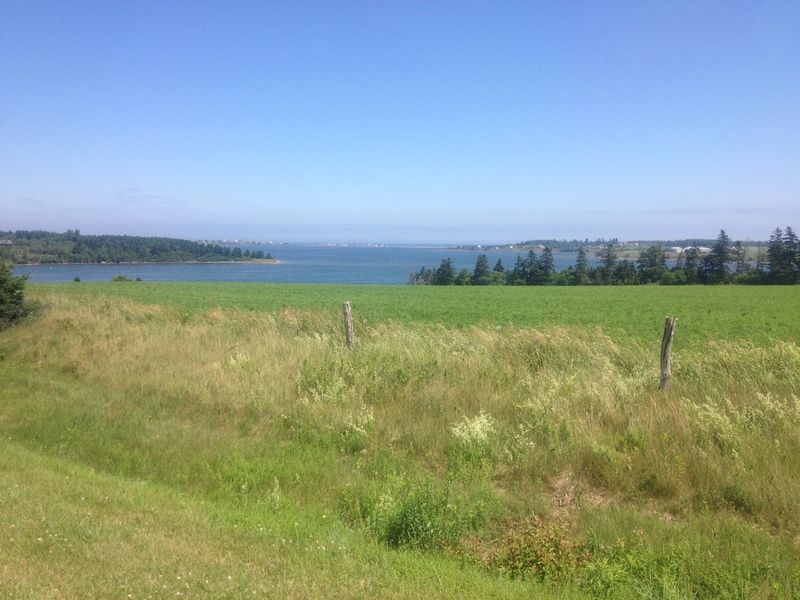 This view on the road to Green Gables in Cavendish brought back memories of watching the television series. I’m sure I recognize it. 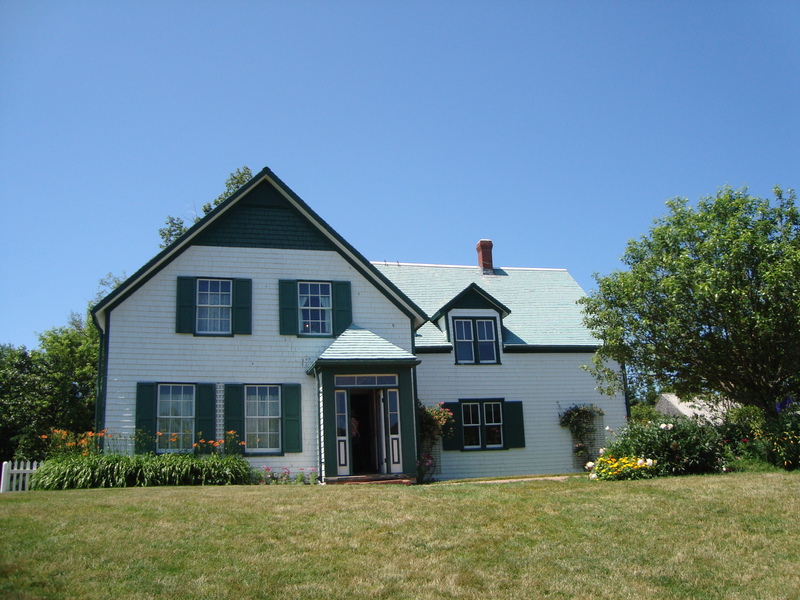 As corny as it seemed I just did not feel right going to PEI without dropping by Green Gables. It just wouldn’t be neighbourly. It was fun to stroll through the various rooms of the house, which was a lot smaller than it looked on television. (I recall feeling this way when I toured the White House, too.) The gardens are beautiful and the short looping trail through the adjoining woods takes you down Lover’s Lane, the Haunted Woods and Balsam Hollow – all featured in the Lucy Maude Montgomery series. There’s also a big ‘ole barn where they sell Cow’s ice cream – a recurring theme here. The house where Anne lived – but only in the Lucy Maude Montgomery novels. It was actually the home of the McNeils, who were cousins to LMM. 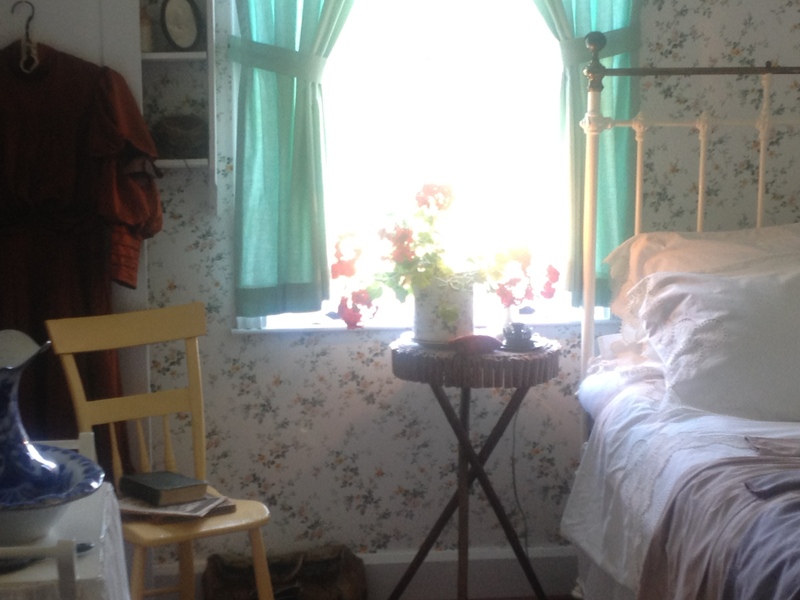 Each room in the house has been made to look as described in the stories – set in much simpler times. This lovely spot overlooking the gardens would have been the room of Anne herself. Inspiring. Oddly, the actual home of Lucy Maude Montgomery, arguably one of Canada’s best-loved authors sits discreetly and unannounced on the side of the road at a non-descript intersection in Cavendish, in serious contradiction to the highway directions, fan fare and huge facade that promotes Green Gables, now a designated provincial park. LMM’s home is owned by her descendant, Robert Montgomery and from all accounts the meagre attention it attracts barely pays the bills – at $3 admission. 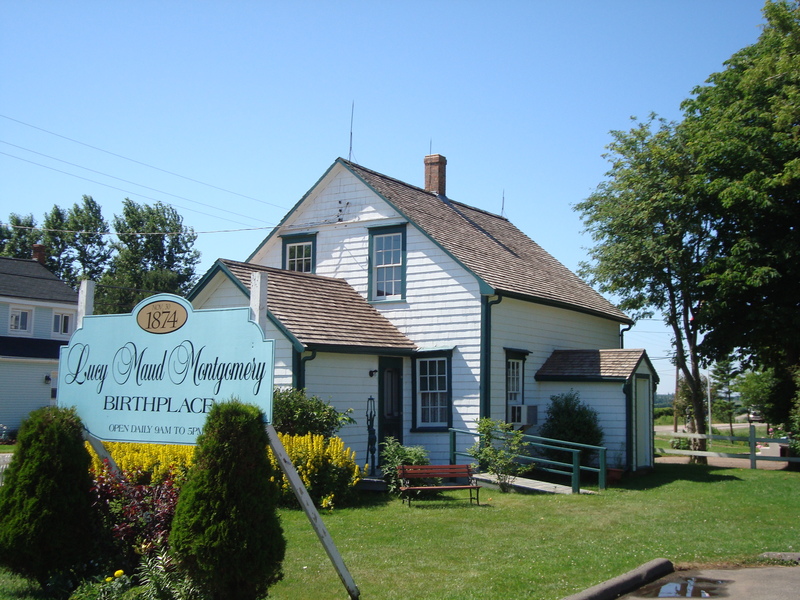 So the Lucy Maud Montgomery Museum is “For Sale” at a remarkable $349,000. 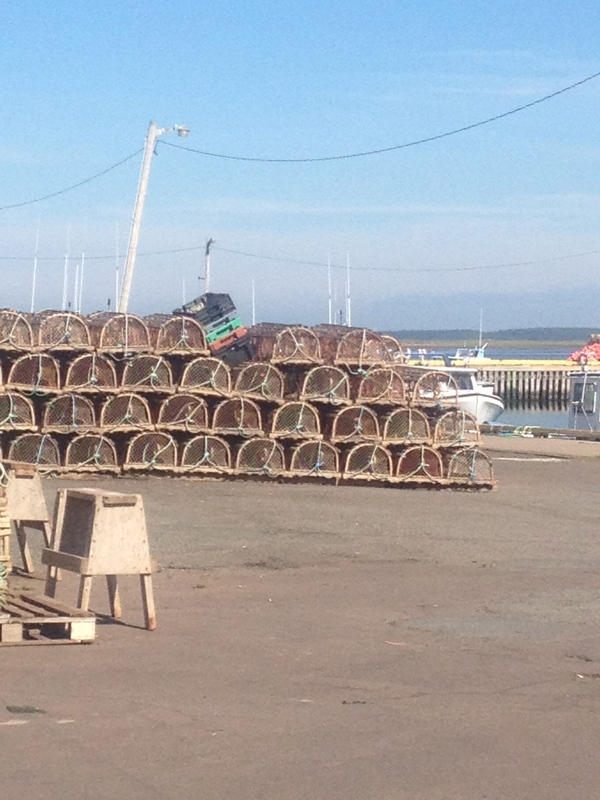 An interesting, but perhaps little known fact about lobster…they cannot be farmed. The little creatures are apparently cannibals and if kept in too close quarters will promptly and with great gusto devour one another. This is very good news if you have an aversion to farmed seafood, and I took it as a sign that I could safely knock back as many of the tasty things as I could get my hands on. 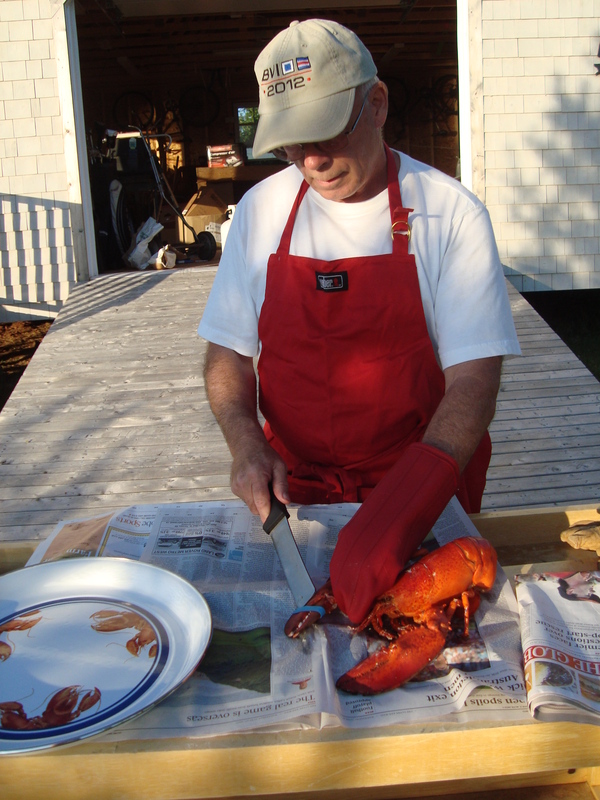 Lucky for me my PEI hosts are lobster-boilers extraordinaire – cooking them up outdoors in Atlantic sea water scooped from Rustico Bay. What followed was downright hedonistic. Lobster fishing hasn’t changed much over the century. They’re still trapped in these ‘pots’. 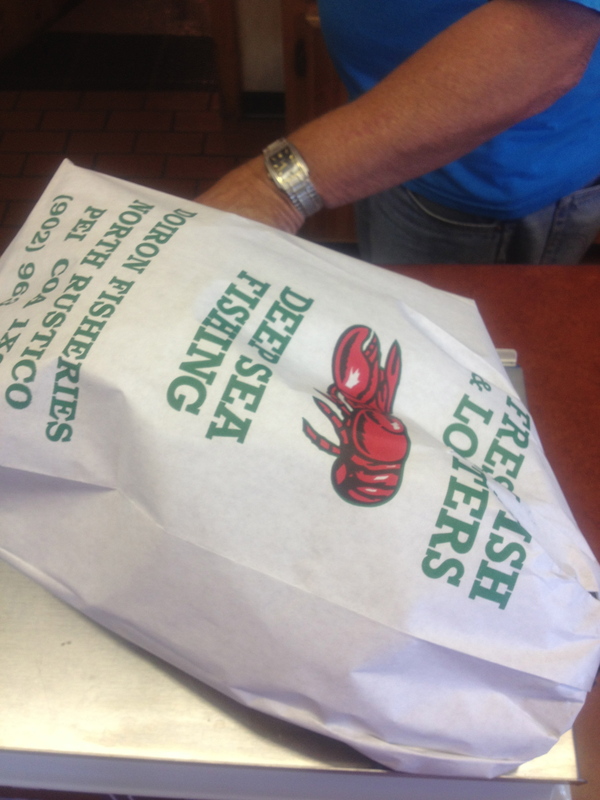 Picked up from the fishing pier – four energetic two-pounders fresh that day. Lobster-boiler Extraordinaire. Now this is how it’s done. I could cry remembering how wonderful this tasted. An old colleague tells the story of growing up in Newfoundland and being so poor that all the family could afford to eat was lobster. Apparently she cannot bear to eat one to this day. Tragic. Throughout the ten days in the Maritimes I was surprised at how quiet everything seemed and I wondered when the tourist season would begin. 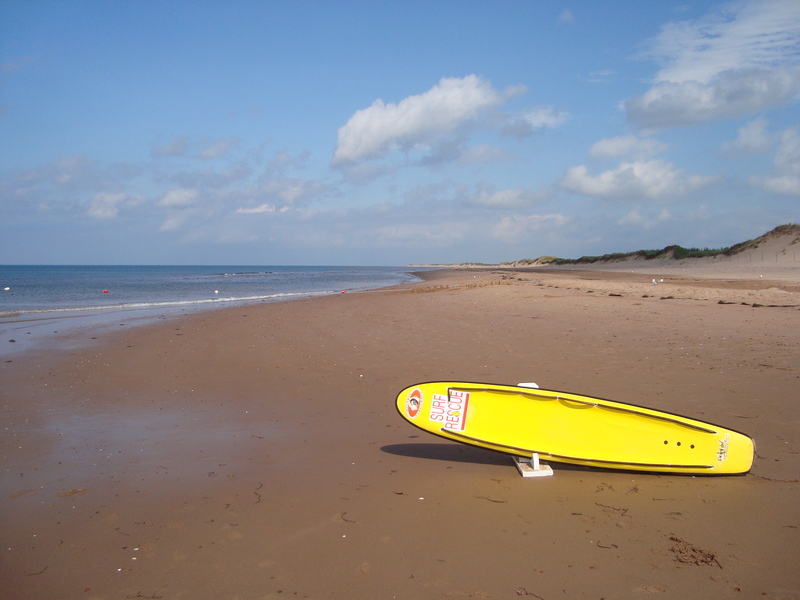 Even on gorgeous July afternoons the beaches were almost deserted. The leafy, cobblestoned walkways of downtown Charlottetown, the capital city of PEI felt similarly quiet. Prince William and Catherine had stopped in PEI on their post-wedding trip to Canada and some of the deserted looking government buildings still sported swags of red, white and blue bunting. I was sorry to have left PEI without finding time to lay my blanket out on this heavenly stretch of Brackley Beach. The water was divinely warm (apparently helping to spawn an active hurricane season much further south) and were it not for an invasion of big purple jelly fish I’d have waded in with my clothes on. 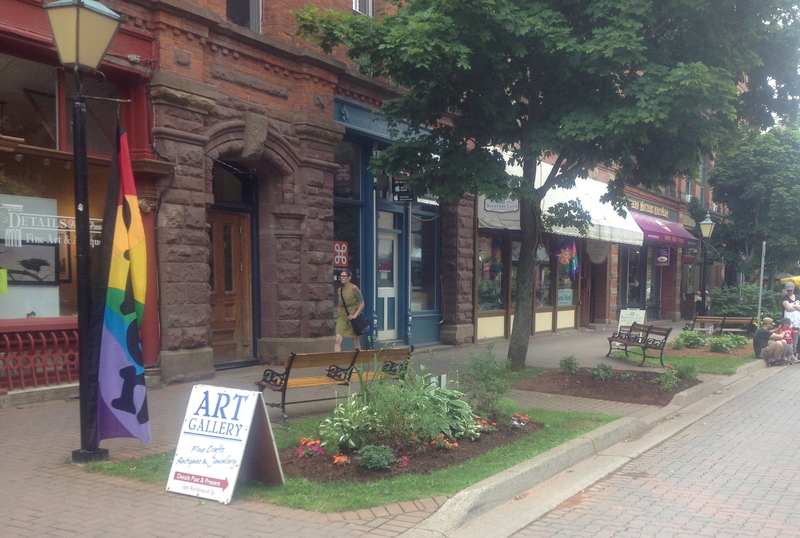 A charming street of boutiques and galleries in Charlottetown. Independent business and creativity seems to be thriving together here with many of the high quality crafts, artwork and jewellery made by local artisans. 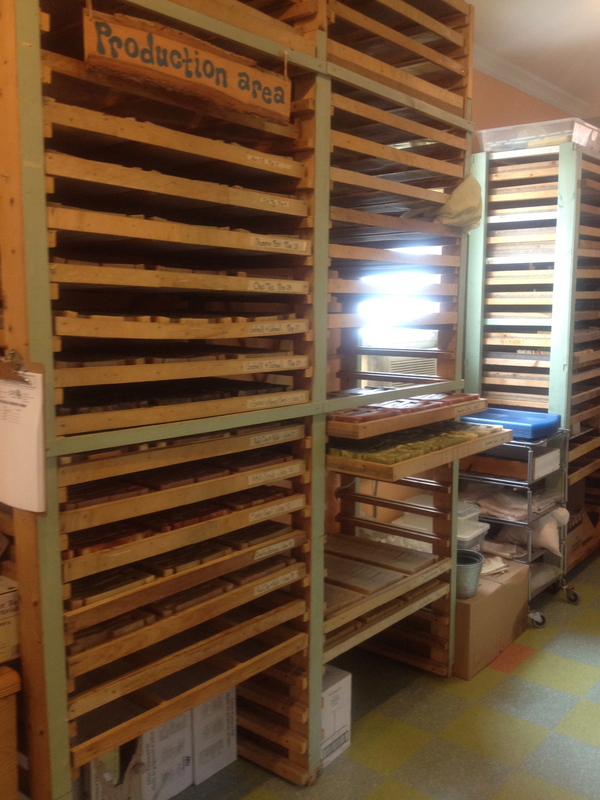 Racks of ‘curing’ hand made soaps at “Moonsnail Soap Works” in downtown Charlottetown. 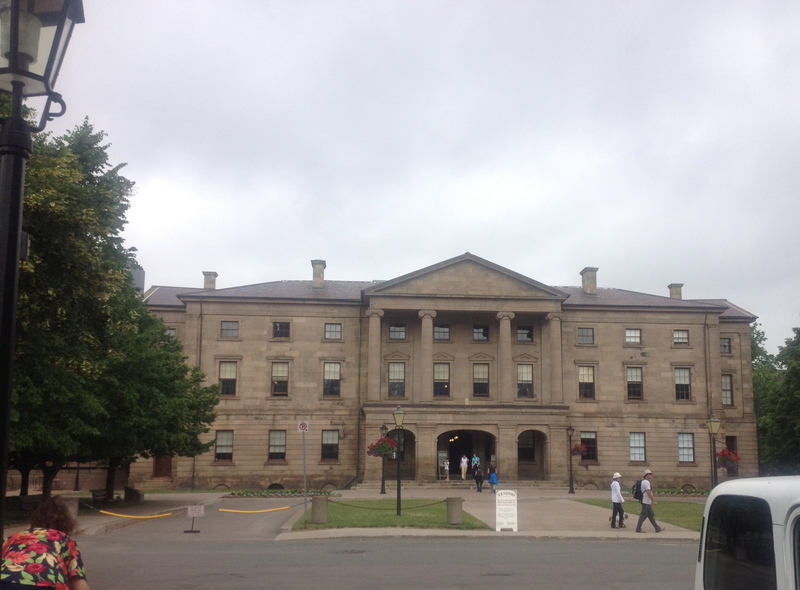 The seat of the provincial government in PEI – Confederation House. 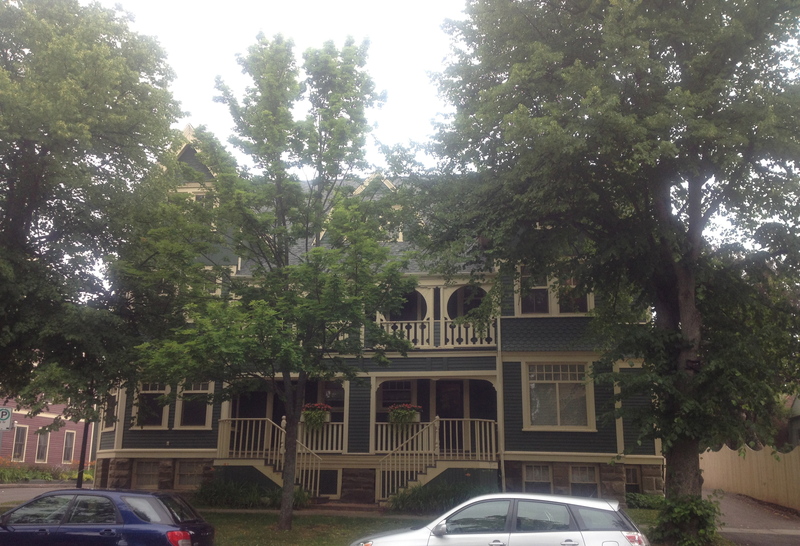 An example of the many well-preserved century buildings in Charlottetown. Dalvay By The Sea dropped into the public consciousness when The Young Royals – William and Catherine – made s stop there on their trip to Canada in 2011. You might recall news coverage of William maneuvering a water landing in a helicopter on Dalvay Lake while Catherine and other dignitaries watched from the sweeping lawn in front of the elegant Queen Anne Revival home on the grounds. This is also where their rowing ‘competition’ was held. The house was built by a president of Standard Oil, who named the place after his childhood home in Scotland, and by John D. Rockefeller. The ‘house’ at Dalvay By The Sea cost a whopping $50,000 to build in 1895. 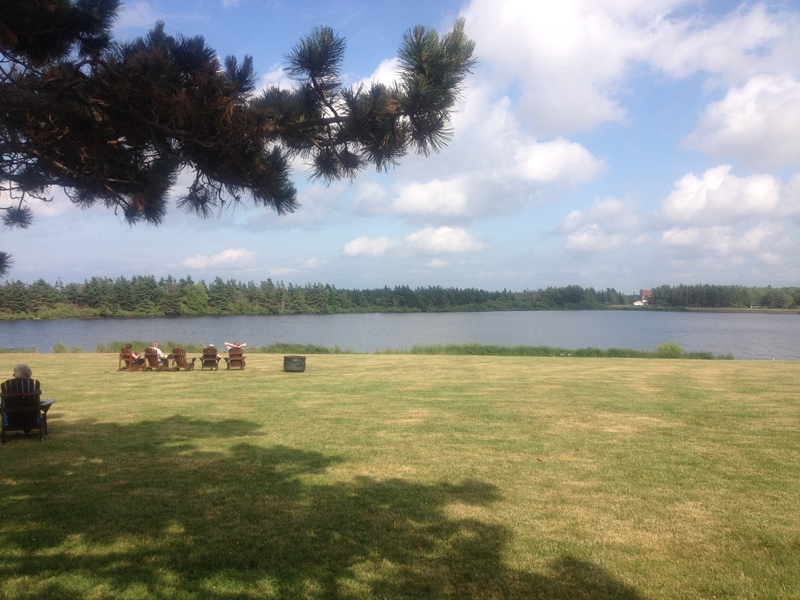 Now it’s an exclusive resort and PEI’s “premier wedding site”. Looking across the lawn from the house to Dalvay Lake. It must have been some kind of sight to see a ponderous Sea King helicopter landing on this relatively small pond. Leaving anywhere has never been a favourite activity of mine and leaving on a stellar day – not a cloud in the sky – always feels unjust. Soaking in a last vision of Rustico Bay. 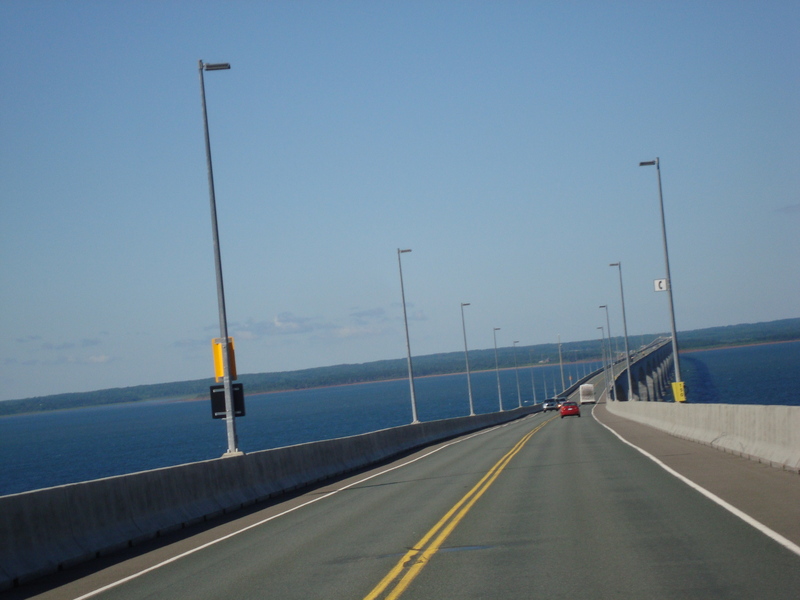 The Confederation Bridge connecting PEI to New Brunswick across the Northumberland Strait is the longest bridge in the world that crosses ice-covered water. There is a toll of $44.25 for a passenger vehicle, which I figure works out to just over $4 a minute. The idea of such a long crossing is more exciting than the actual drive but reassured by high barriers on either side of the bridge I was able to get a couple of scenery shots by sticking the camera through the sunroof. It will be the first time I’ve been in New Brunswick, the only province of Canada that I had not previously been to. The visit will be a short one, just passing through on the way back to Nova Scotia and then on to the Annapolis Valley, Bay of Fundy and Digby. Rush hour on Confederation Bridge en route to New Brunswick. 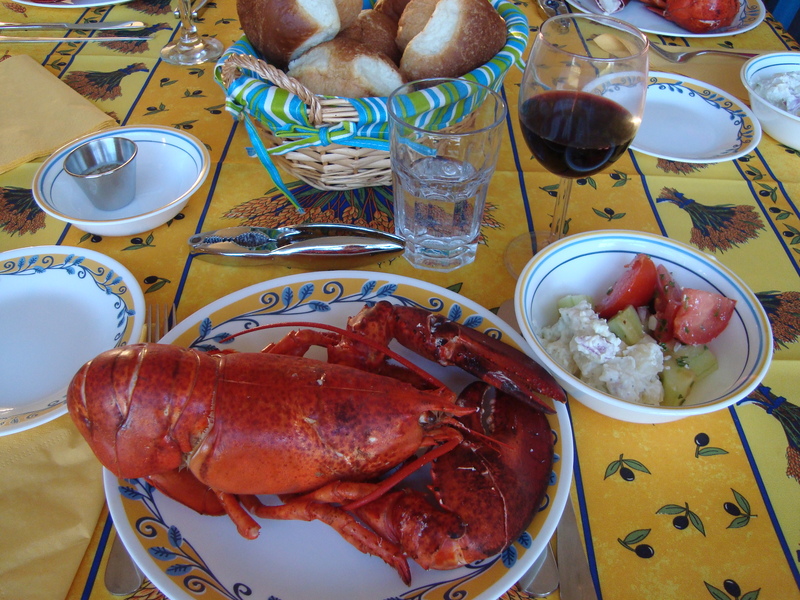 that lobster looked delicious – my most favourite dinner! glad I can live vicariously through you – yum!